Along a beautiful, wooded stretch of Route 28A just across from the Ashokan Reservoir, up a steep and narrow driveway, and beneath a rotating weathervane, there is what appears, at first glance, to be commonplace in the Catskills: a barn. But swing back the heavy double doors, and you find not a dusty storage space, but a warm, cozy library. To your left, a pitcher of wildflowers; in front of you, a comfortable-looking seat under three bright windows; to your right, a wall of books, both old and new. Soft acoustic music plays in the background, and handmade chapbooks and promotional book postcards litter every surface. Lissa and her husband purchased the space—and the neighboring home—in April 2015. But the Poetry Barn is an expansion of something Lissa has been building since 2007, after she earned her MFA in poetry from the Stonecoast program at the University of Southern Maine. “I’ve been doing online poetry workshops under a different name, Rooster Moans Poetry Cooperative,” Lissa explains. “People liked our workshops a lot, and the same people kept signing up. We established relationships online, like we so often do these days.” What Lissa humbly doesn’t mention is that Rooster Moans was one of the first and most beloved online communities for poets, offering affordable, high-level poetry workshops with acclaimed poets all over the country. Lissa was founder and director as well as one of the Coop’s teaching artists. Lissa and her husband lived in New York City for 30 years. She moved to New York when she was young to seek out an artistic life, like so many creative people have done (and still do, to some extent). She remembers the Brooklyn of a different time—a time when, biking from her first place in Park Slope to a jewelry-making job in Fort Greene, she passed just one restaurant: Miss Ann’s, an iconic soul food joint lost to gentrification in 2000. “It was a very different place,” she says. I didn’t know how much I missed this until I moved back. I can’t believe I spent 30 years in New York City. Now, when I go back, it’s a shock to the system. Smith was also an avid collector of records, paper airplanes, and occult objects, among other things. “Khem inherited Harry’s books, of which there were many,” Lissa says. 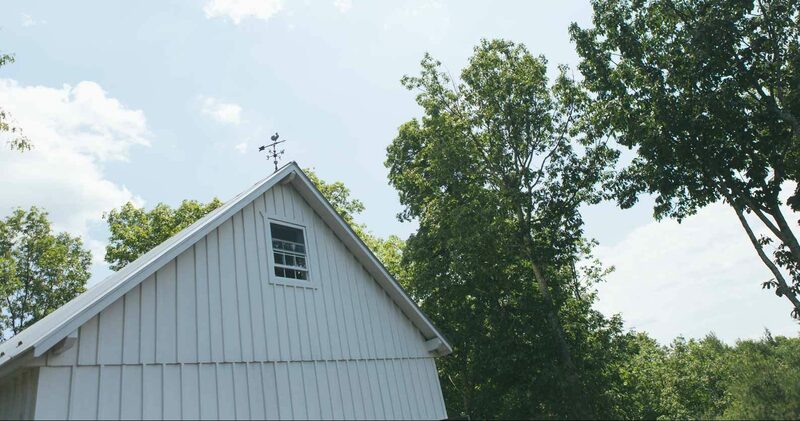 Khem built the barn to house Smith’s book collection and make it open to the public. He called it the Harry Everett Smith Memorial Library. Lissa’s debut poetry collection, Two Faint Lines in the Violet, deals heavily with nuclear energy, specifically the Yankee Rowe Nuclear Power Plant in Rowe, Massachusetts; her interest stems from the fact that, after living just a mile from the plant while it was decommissioned, her father developed a brain tumor that ultimately caused his death. She routinely tackles scientific concepts through a poetic lens—though we don’t normally associate artistic interpretation with scientific concepts, “they’re very connected,” Lissa asserts. Participants and lunch at the Poetry Barn’s first summer workshop, held June 25. Apart from the addition of the windows and the installation of heat, the biggest change Lissa made to the space was the completion of the loft space above the main barn, which was unfinished when she bought the property. With a fresh coat of paint, new windows, the addition of weathered oak beams, and a gorgeous wooden table crafted from reclaimed barn wood, the loft has transformed into a beautiful, warm, light-filled space for workshops and readings. There’s even several spotlights specifically designed to highlight the front of the room, where a reader might stand. “It’s a nice peaceful, quiet space,” Lissa says as she gives me a tour of the loft. 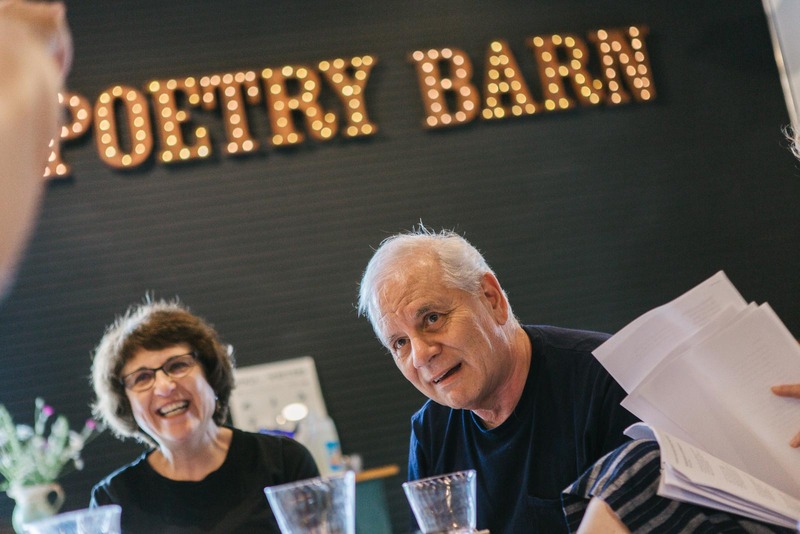 The poetry workshops usually held online as part of Rooster Moans will now also take place at the Barn, with a maximum enrollment of eight participants to keep them as intimate and productive as possible. 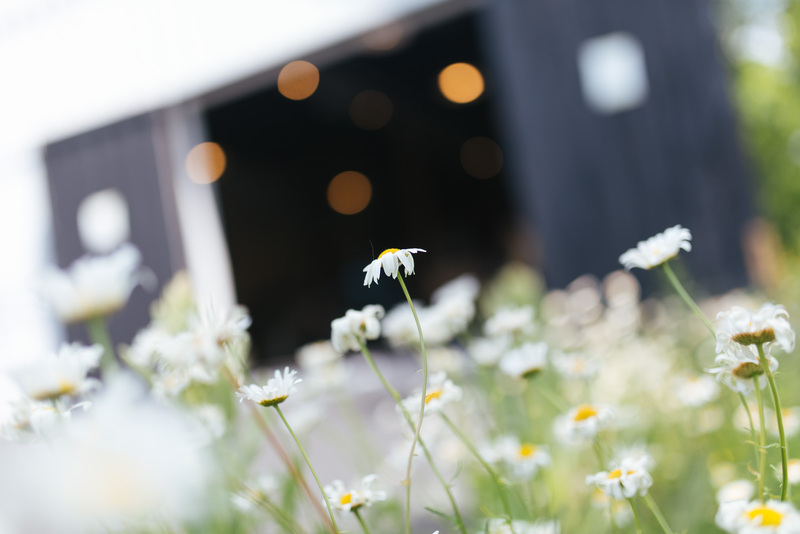 This summer, Lissa introduced a series of day-long themed workshops: Last Saturdays at the Barn. Her first, held June 25, was called “A Feast for Bards: Farm-to-Table Poetics,” and explored the intersection of food and poetry. 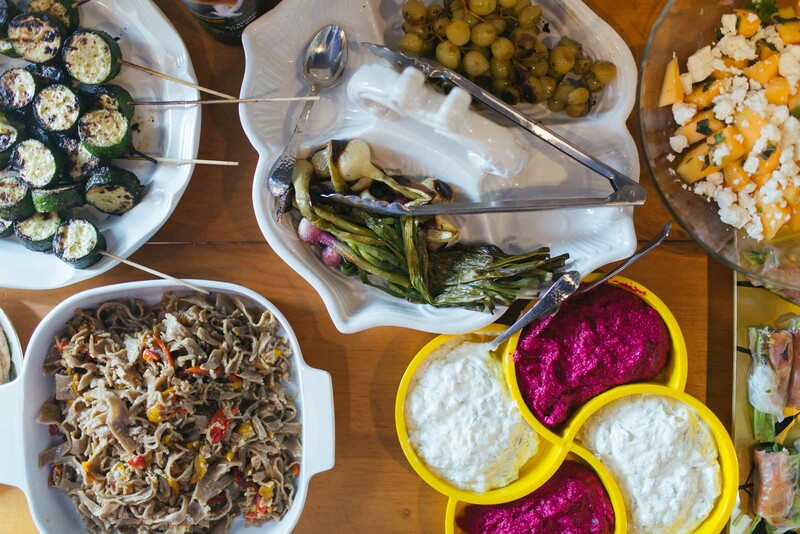 Participants were also treated to a locally sourced lunch from Roundout Valley Organics, Davenport Farms, and other purveyors; proceeds from the workshop benefited the Reservoir Food Pantry. The workshop sold out. 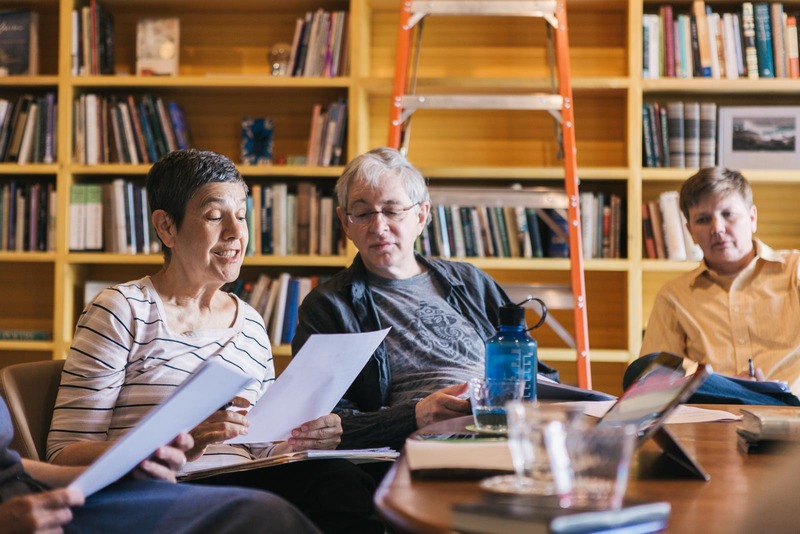 Lissa is teaching or co-teaching all the workshops this summer, but other poets have expressed an interest in teaching at the Poetry Barn, too. 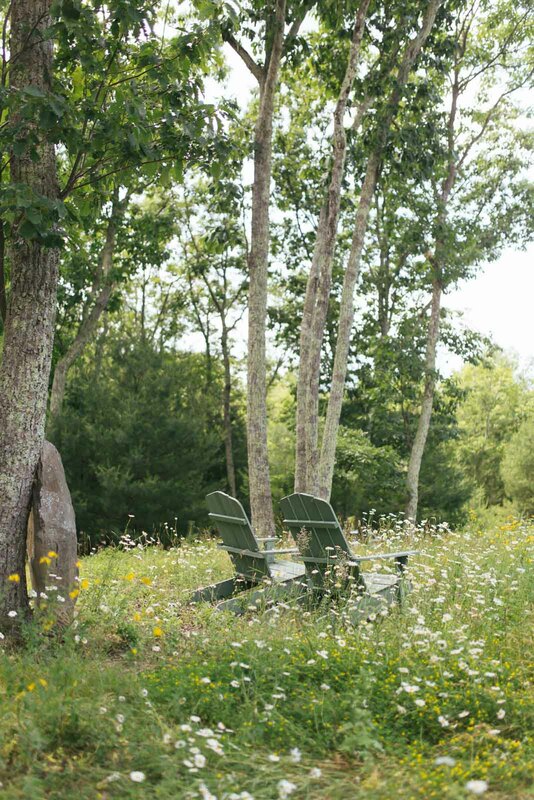 And it’s not just about the poetry—Lissa wants the experience to be as wholly refreshing as her early visits to the Catskills were. “All of the Saturday events include a two-hour break for food, and just wandering… I definitely want people to get outdoors,” she says. The workshops are just the beginning. Lissa’s inspiration comes from the Poet’s House in Manhattan. “They started out in this little loft on Spring Street in SoHo, when I first took a workshop there,” she says. “And [now] they’ve got the largest independent private poetry collection in the world. I don’t aspire to that large a thing, but that’s what I’m modelling this on.” In September, she plans to bring the Barn back to its roots as a library—but this time, it will focus on poetry. Libraries are great. But poetry gets one shelf, or two shelves, or maybe three, if we’re lucky. 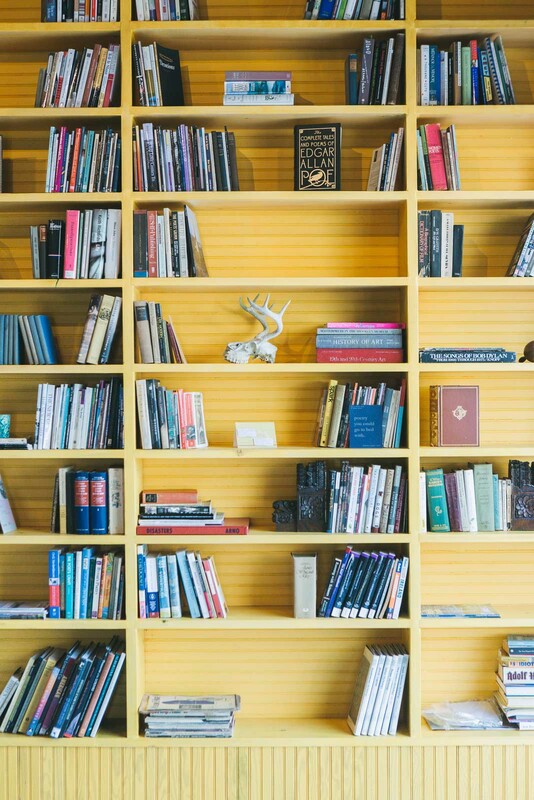 Meanwhile, she’s focusing on building an audience through her workshops—and on filling the ceiling-high bookshelves in the Barn with valuable texts for anyone interested in poetry: “contemporary, classic, some non-fiction, some fiction, some essays, some plays—but 85 to 90% poetry,” she says. That includes a section for children and young audiences. 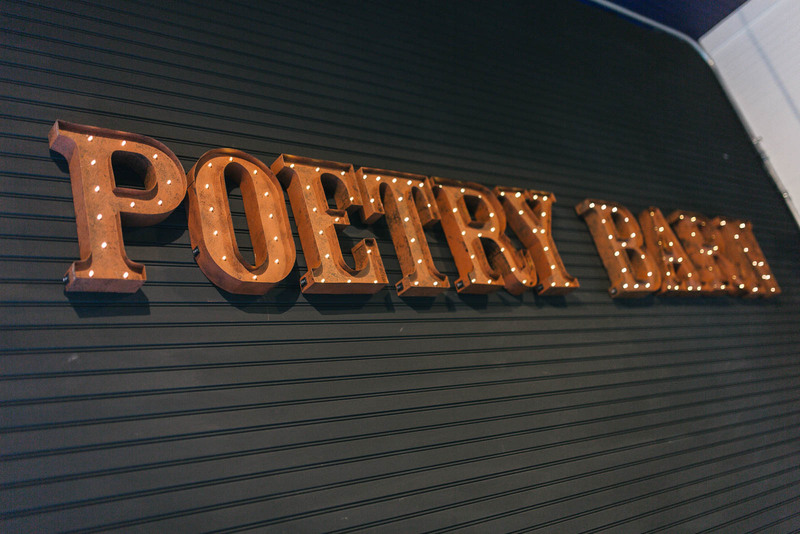 The mission of the Poetry Barn? 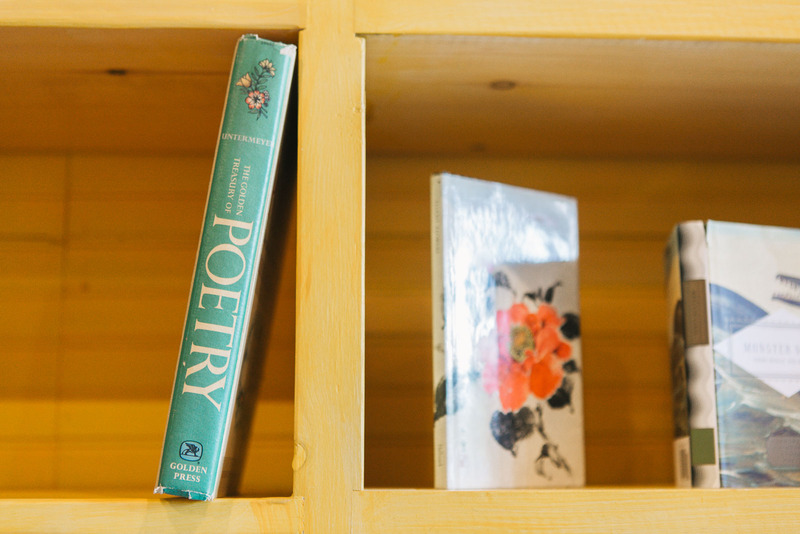 “In simple English,” Lissa says, “it’s a place for people to come and discover poetry.” And, perhaps, to discover a little more about themselves while they’re at it. Hit next, below, to continue reading 4 poems written by participants of the Poetry Barn’s first summer workshop.